Last year this product was in best 2 in Lotte.com skincare. After the Clinique have taken the 2nd place I have over 100 message of have you tried. Even for this year, it will be popular as last year. Of course I tried it. First of all this is a moisturizing gel~ can think of as a lotion. lotion is a lotion so if it does its job, is just perfect!! Don’t expect too much from a lotion. When you do, you will use other wrong products. Do you need strong moisturizing??? Moisturizing prevents from the skin to be dry and helps the skin to have less stimuli. So it takes a important part in skin care. So saying in a simple way, a well one made moisturizing product equals ten functional products. The problem is the moisture category is difficult to differentiate. Moisture essence, moisture cream, lotion, date cream, and night cream, have just different names and only important function for them is to do moisturizing. So don’t really go for high-priced cosmetics. They are many people who send me message because they don’t know the order of the products as they use too much. Over using of product aren’t always good. Only thing to consider is to apply sun cream after moisturizing. This has been the bestseller just for moisturizing. There are no other functions. It only works as a lotion. The absorption is really quick. When you during the nighttime, there are no stains on the pillow. So if the absorption is quick it is easy to apply several layers after. The pumping cover works just fine in controlling the amount. So I recommend this.! This. I want to say that it does its job as a lotion. Do ever people have used Clinique products and experienced their face stimuli against it??? It is too strong for it to use??? 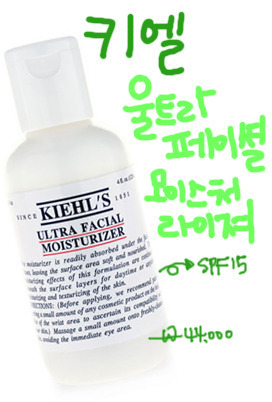 I would recommend using Kiehl’s ultra facial moisturizer SPF15. It contains natural ingredients from plants and other things so it is really god when it comes to moisturizing. Also it is a lotion that has sunblock with it. Good for people who have sensitive skin..
For the people who have dry skin but not sever would be satisfy with this product. You might think that it is great for dry skin person; it doesn’t lead that it will make it oily. It isn’t oily but very moisturizing. Most of all the finishing isn’t too rich and feels very light. 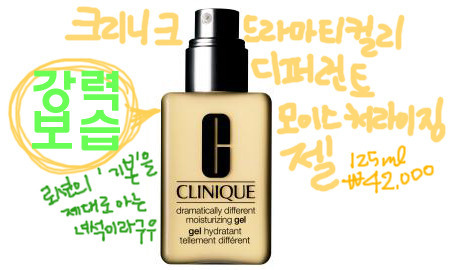 It is different from moisturizer cream so it can be moisturizing just with a lotion.